“Chenchén” is one of the most distinctive Dominican Southern dishes. Chenchén with stewed goat meat is probably and by far the most typical Dominican Southern meal. A hot chenchén just out of the pan sided with a saucy stewed goat meat (usually prepared hot, a very unusual thing in Dominican gastronomy) and some stewed red beans are one of those plates that elevate the spirit. It’s a truly divine dish! 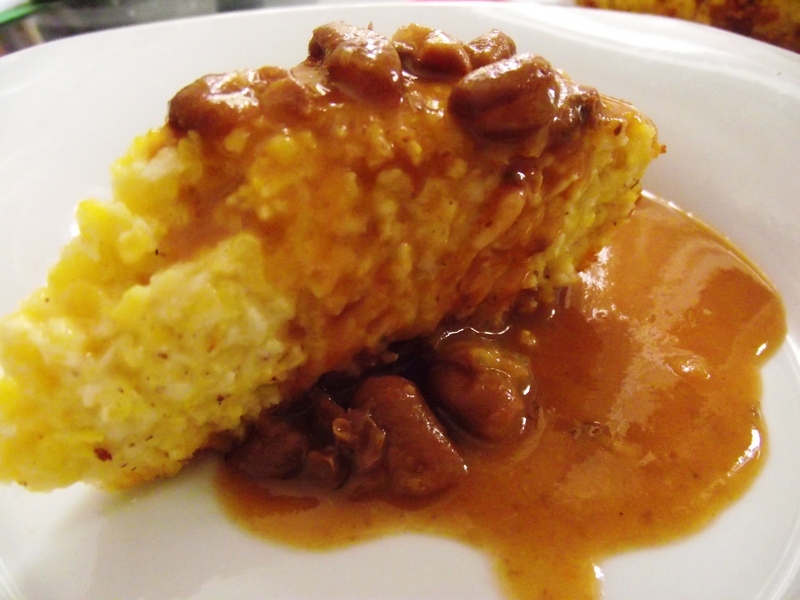 The chenchén is made with ground corn. Corn has been for a long time a survival crop. Chenchen is a very simple, practical way to use it. Many of you, my friends and followers of el fogoncito had been asking for this recipe. 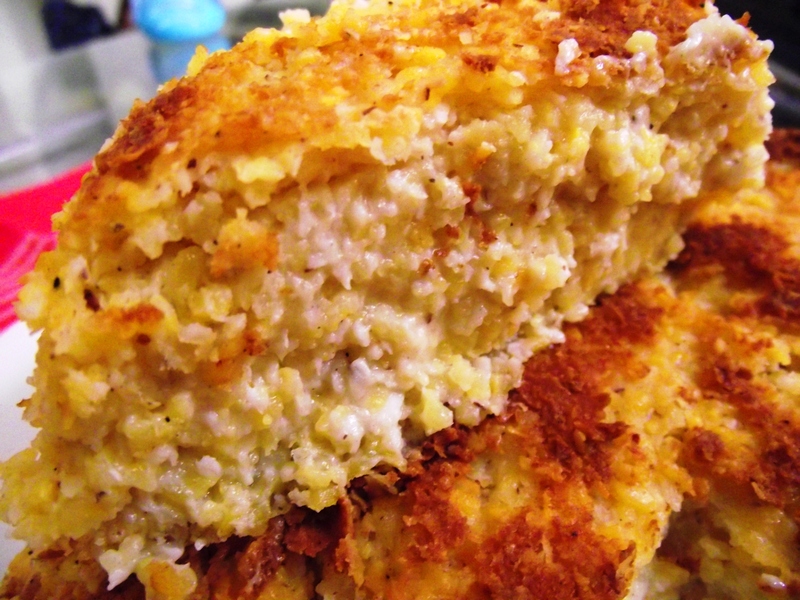 (Which is one of the classics of Dominican gastronomy) Unfortunately not everyone knows the recipe, for it is reserved to the southern families. Luckily I’m from everywhere in the Dominican Republic. Southern by father, Northern by Mother and Eastern by birth. I had shared some pictures of a rich chenchén prepared by my mother that was even published in our main newspaper: Listín Diario. But I still owed you the recipe. Today I pay my debt! 1 pound of thick ground corn. 1 liter of whole milk. 1 spoonful of black pepper. Wash the corn and leave it in water one day before using it. Take out the pulp of the coconut and blend it with some whole milk. Then squeeze the pulp to take out the coconut milk. Separate. You may also squeeze the “second milk” by humidifying the pulp of the coconut again and squeezing. Put a boiler with some milk and add the corn. Add more milk and allow the corn to begin to boil in the milk. The corn dries off quickly so you need to be very attentive. As it dries off continue adding milk and coconut milk successively. Add the garlic, the pepper, the nutmeg and the butter. Continue adding milk every time it dries unti the corn is soft. 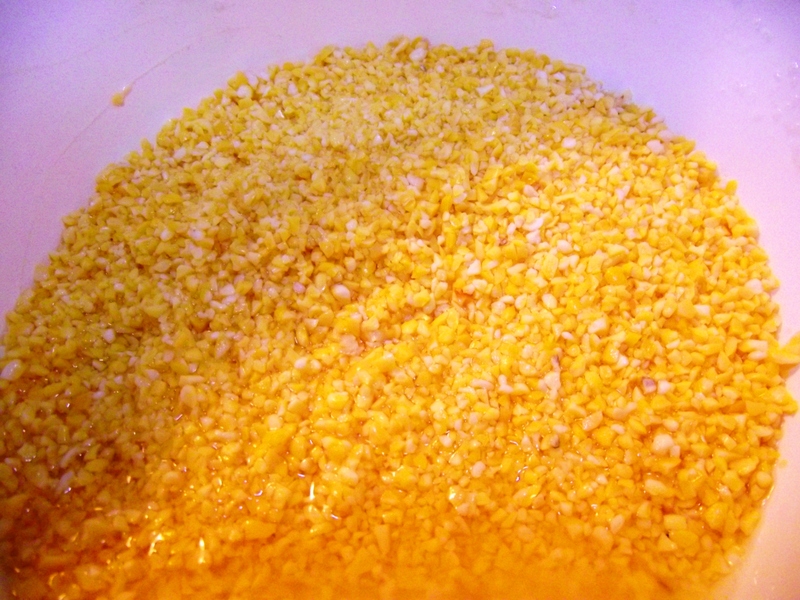 When the corn softens, rectify the salt, allow to dry the excess of fluid and put in the oven until a crust is made. Enjoy with stewed red beans and goat meat. A stewed chicken will also do the job marvelously! This entry was posted in Traditional Dominican Food, Vegetarian, Vegetarian - Lactovegetarian and tagged african food, caribbean, caribeña, chenchen recipe, comida dominicana, dominican, Dominican chenchen, dominican grits, Dominicana, El Fogoncito in English, el fogoncito.net, elfogoncito, elfogoncito.com, elfogoncito.net, quisqueyana, recipes. Bookmark the permalink.